Aluminum radiator. 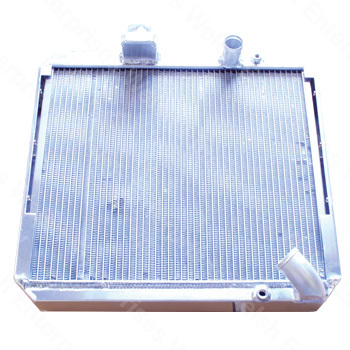 This radiator started with a USA made aluminum core for maximum heat transfer. This radiator is typically more than 7% cooler than a flux bonded aluminum core and more than 15% cooler than copper and brass. Our aluminum radiators are 100% TIG welded by hand by experienced craftsmen for exceptional quality and appearance. Each radiator is pressure tested and guaranteed against manufacturing defects.